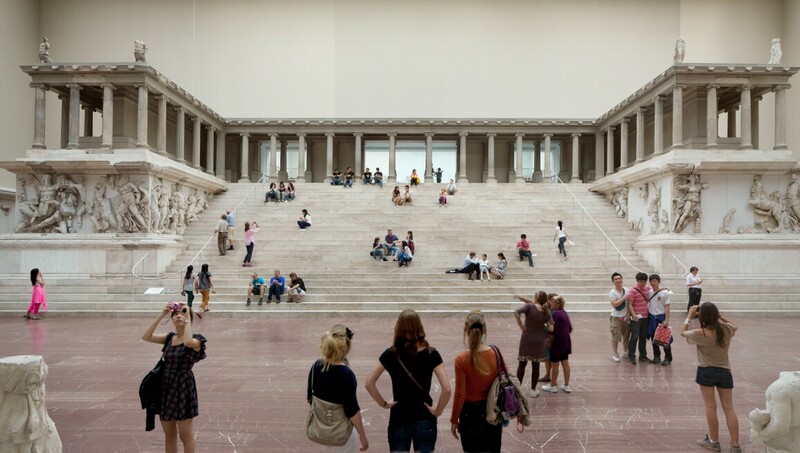 The Pergamonmuseum is Germany’s most visited public collection and one of the most famous archaeological museums in the world. Home to the renowned Pergamon altar, the Ishtar gate and the Market Gate of Miletus, the museum is dedicated to ancient architecture and artefacts. Featuring one of the greatest Hellenistic friezes of all ancient art, the Pergamon altar dates back to 180–160 BCE and represents the Olympian gods locked in battle with the Giants. The museum also houses over 270,000 objects from the regions of Mesopotamia, Syria, and Anatolia as well as exceptional examples of cuneiform scripts dating from the late 4th millennium BCE, some of the earliest examples of written language extant today.